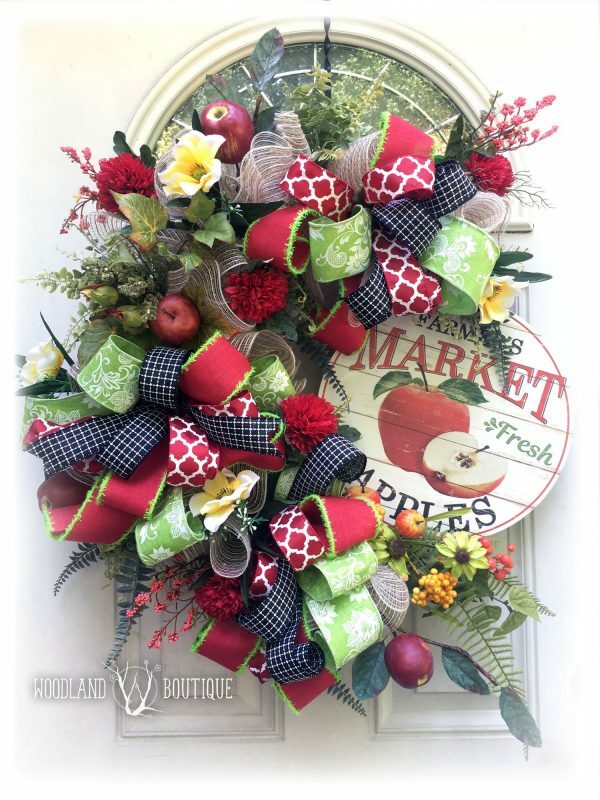 Charming apple wreath measures approximately 25″ around (with a few wispy tendrils that extend beyond those measurements.). Only 1 available. 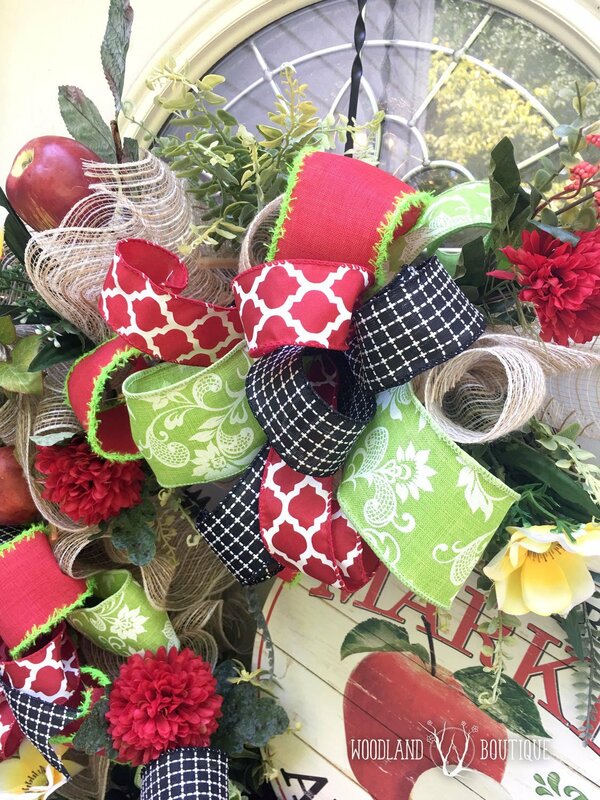 This wreath might not keep the doctor away, but you’ll love it just the same! 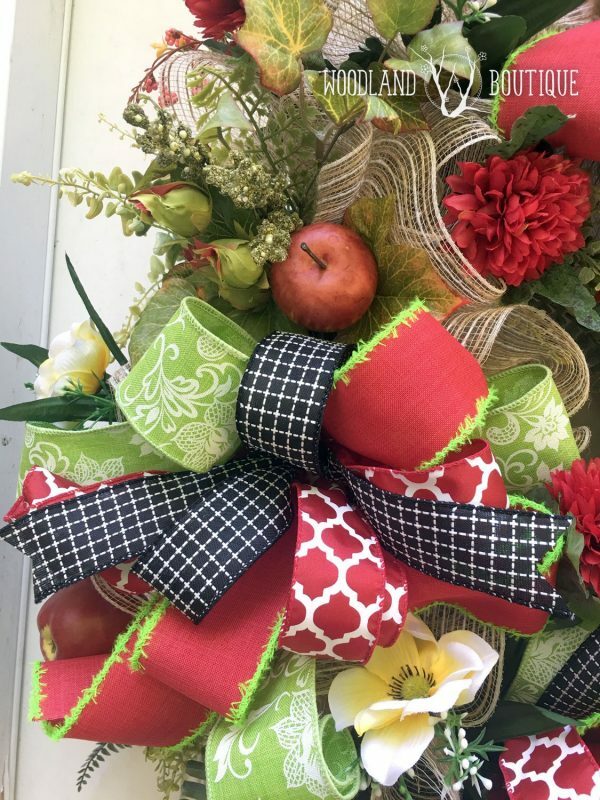 This beauty boasts tons of ribbons in shades of red, lime, and black, red mums, yellow primroses, berries, ruffles of burlap, and of course APPLES. 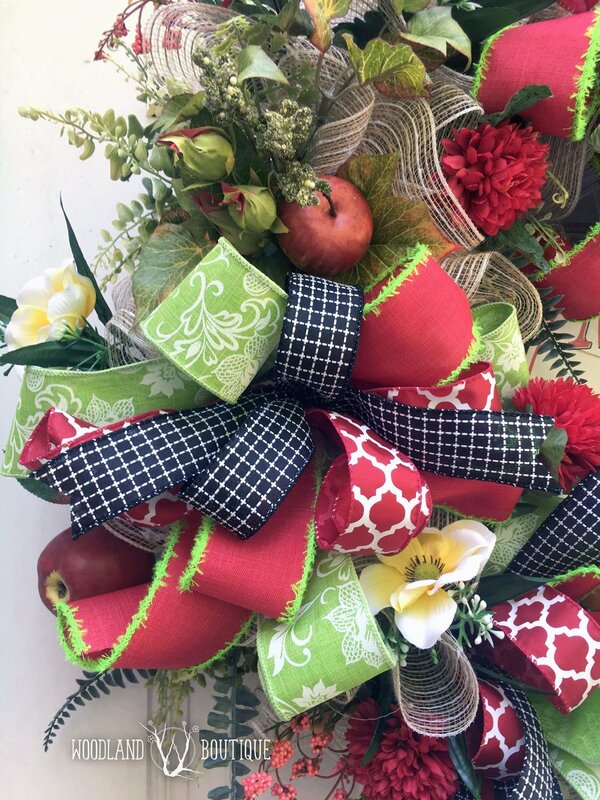 A few different types, just like you’d find at a farmers market. 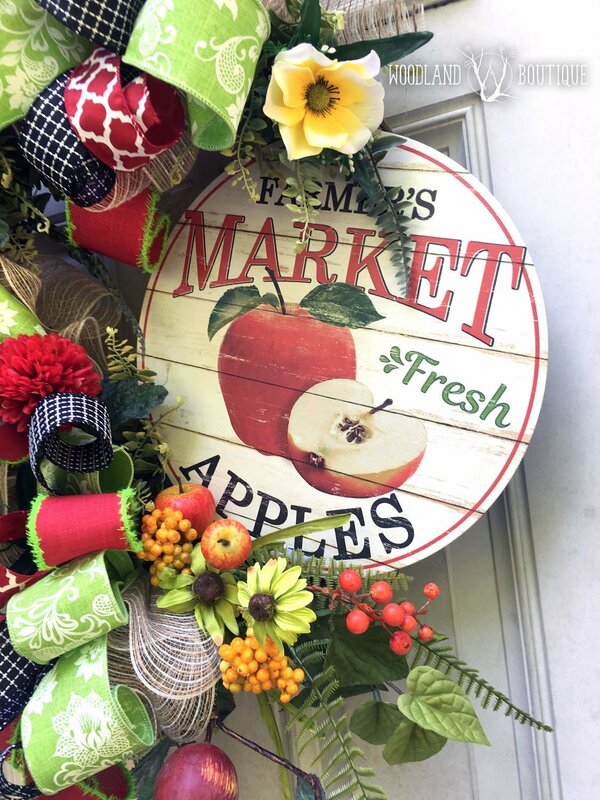 And speaking of farmers market — how about that sign? This item is ready for pickup and there is only one available.